Southbound customers on NH and Harlem are going to love that up hill walk to the 2. Train commuters tend to be in better shape than car commuters, on the whole. Can they not have trains terminate at 125th for some reason? Or is it just that the entire viaduct structure may be compromised so they want to let people off in the Bronx? Or do they just not want trainfuls of gawkers descending on Harlem to go check out the damage? 125th Street is awfully close to 116 Street, I assume it has something to do with where power has been cut and possible damage to the viaduct. My immediate thought is to run trains from the Harlem and New Haven Lines around Mott Haven wye and make everything originate and terminate at Yankee Stadium? Woodlawn is one makeshift terminus. There is just one measly staircase down from street level (an overpass bridge) to the Northbound track and the platform can only accommodate 4 or 6 cars. This event – and most importantly the loss of life – is just awful. My heart goes out to the families and the individuals affected. But this event also brings to mind the importance of Penn Station Access. Agree on all points. This shutdown really brings to light why Penn Station access is so important to the region as a whole & not just MNR passengers. One would hope that this would be the watershed moment to move this project foward, but I’m not holding my breath. 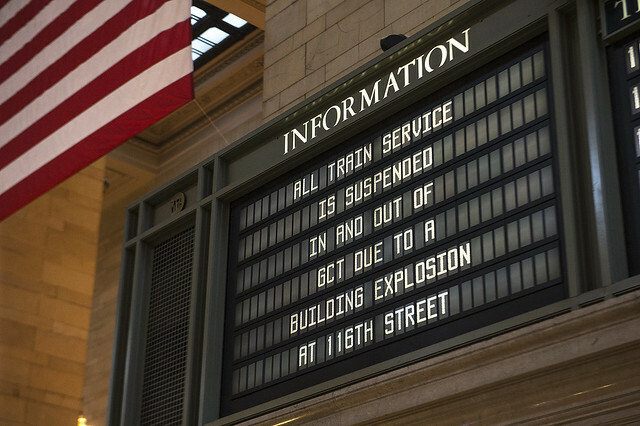 This explosion and the resulting tragic loss of life should re-emphasize that the continued deterioration of the city’s infrastructure and the lack of system flexibility have serious consequences. Do we know the cause of the explosion yet? A natural gas smell was reported 15-minutes prior to the explosion. It is safe to assume that there was a leak.